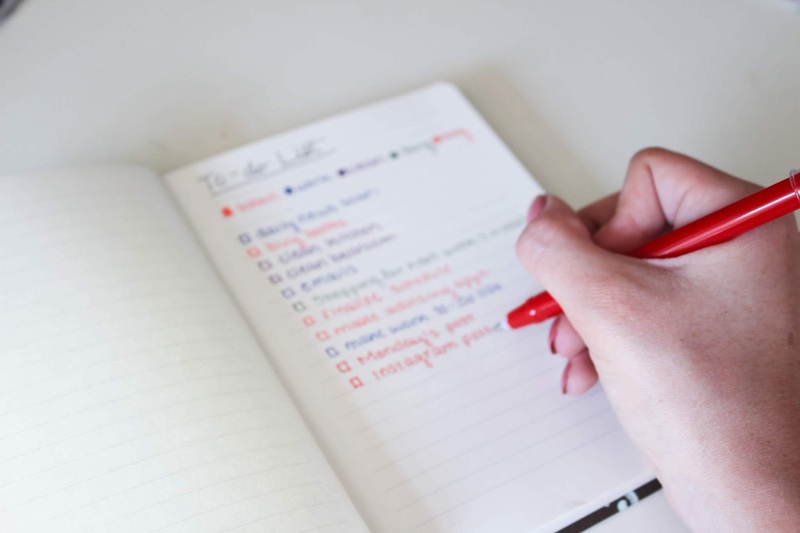 I have a super specific way that I make my daily to-do lists, because it's so much easier for me to have an organized to-do list that I like to look at throughout the day! 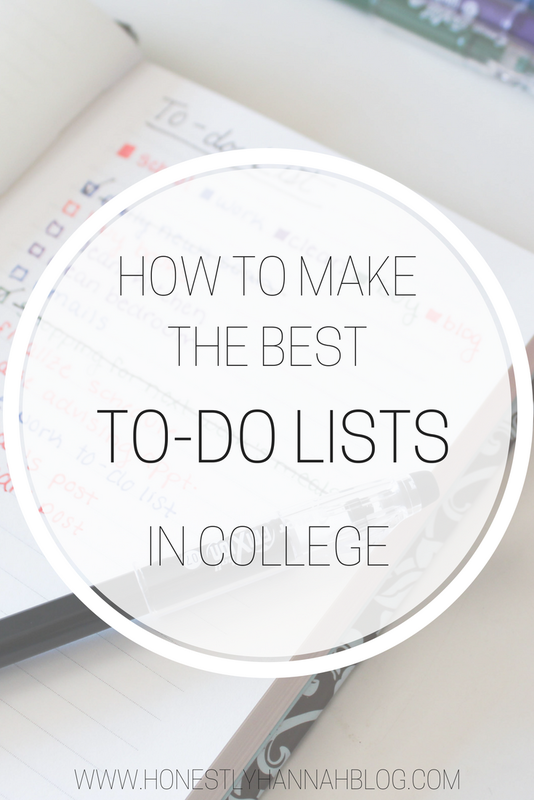 Here's exactly how I create the best to-do lists in college. To say that I'm obsessed with good pens is an understatement. If you're in college, you know how important a good pen is in our daily lives. 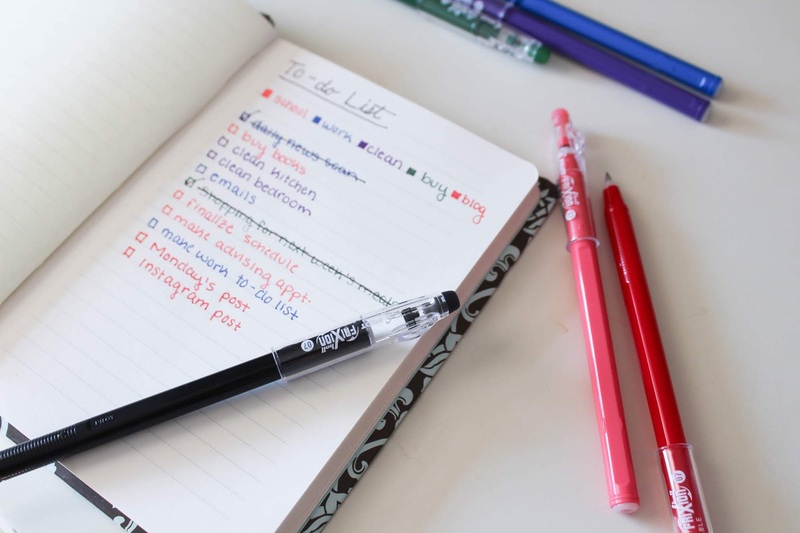 Taking notes, writing in our planners, and of course making to-do lists require pens that aren't going to burn out on you after a couple of weeks. The pens that I use are the FriXion ColorSticks 10pk Assorted bolder colors by Pilot Pen. 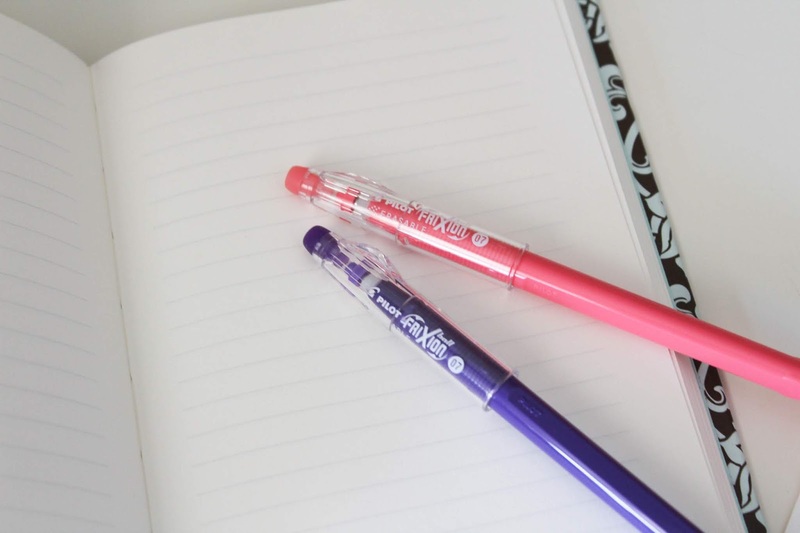 Not only are these pens bold and filled with smooth writing gel ink, but they ERASABLE. 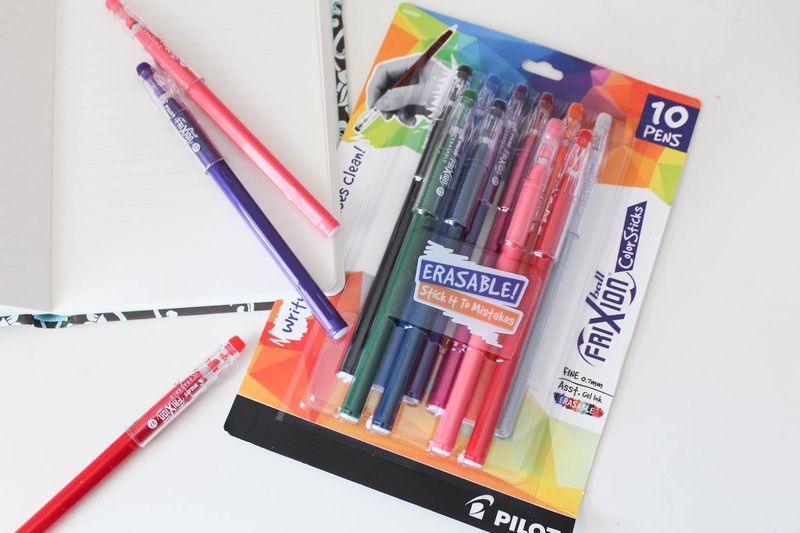 FriXion® is the only pen that actually allows you to erase your mistakes for a clean page. 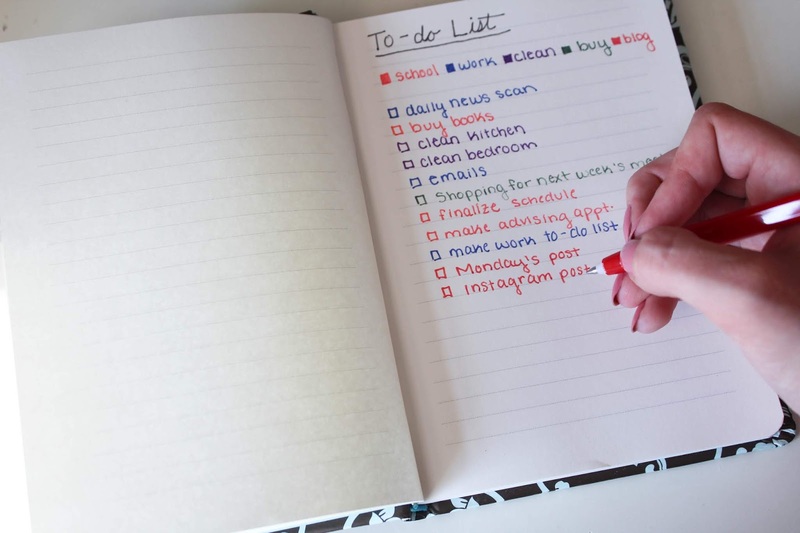 I know when I'm making to-do lists, sometimes the task changes, so instead of scribbling it out and making my whole page look bad, I can simply erase my mistake and fix the task! I love having a specific notebook for my to-do lists. 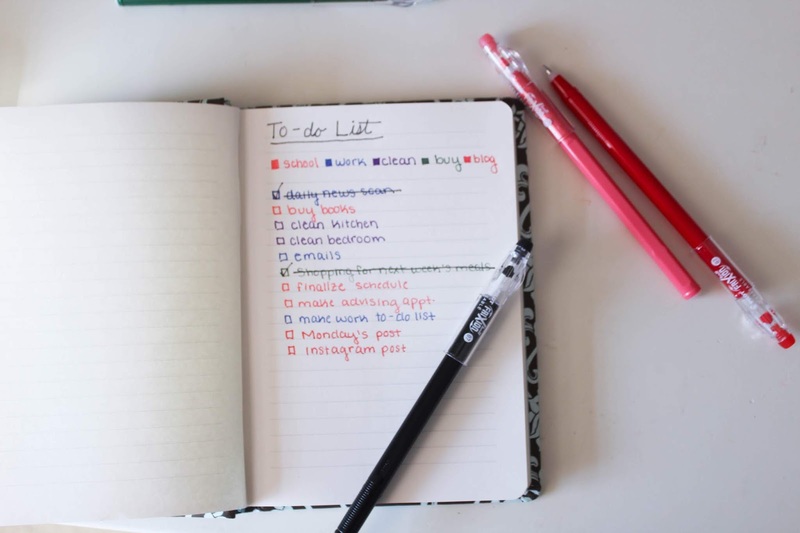 I used to use my planner for my to-do list, but things quickly got way to cluttered. Ever since I've started using a separate notebook, everything is so much cleaner and nothing gets lost in the mess. 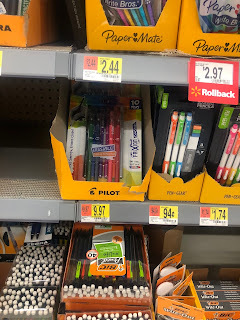 I assign a color to each of the FriXion® pen colors that I'm using, so here I've done orange for school, blue for work, purple for cleaning, green for things to buy, and red for anything blog related. It's currently summer, so I don't have too much on the school end of things, but my to-do list fills way up with school related tasks when the semester begins. I actually use a separate list for my work to-do's because otherwise my list would just get way too long. 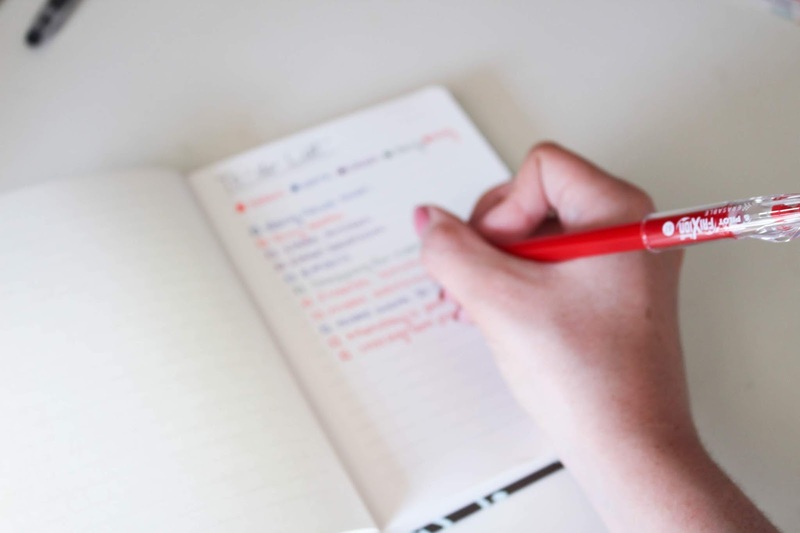 I usually put the tasks that I do everyday at work on my main to-do list, but I have so many different things I do in a day, it's just easier for me to create a separate list other than just a few simple things I do each day for work. I'm not showing my full work to-do list for privacy reasons! 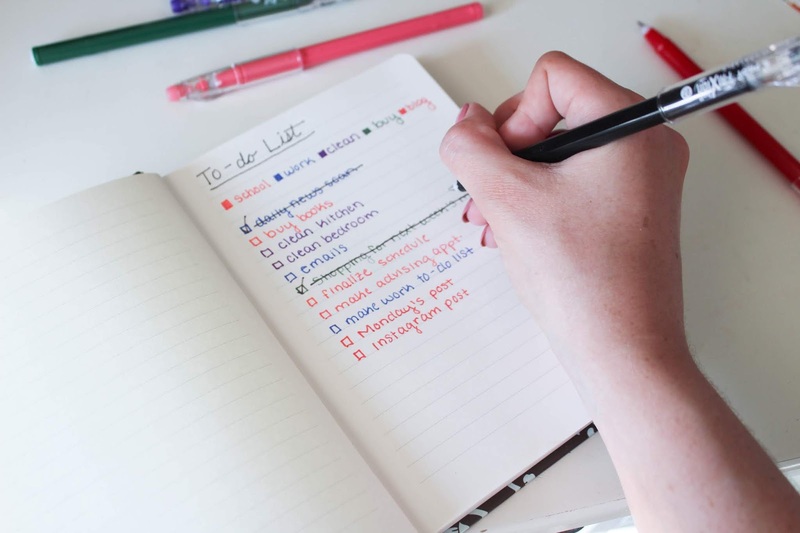 I always keep my to-do list handy at all times! I'll put it in either my purse or my school bag so I can grab it to check or add items to the list at anytime. 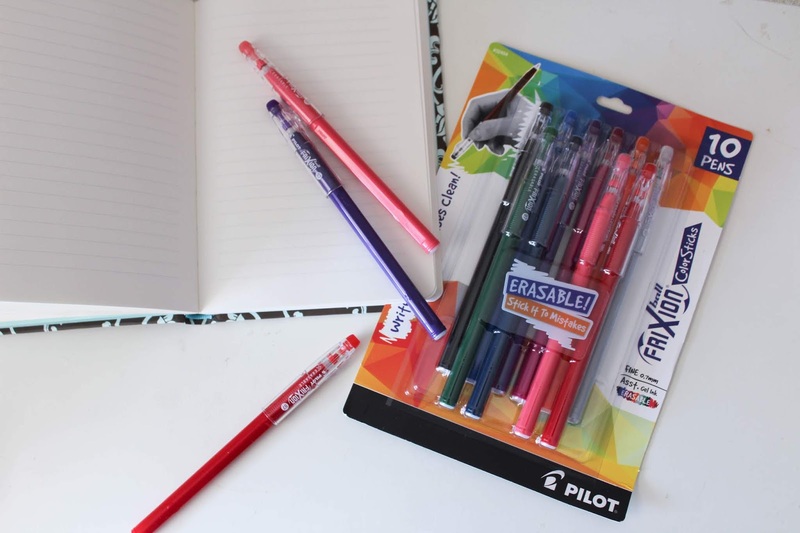 I simply have my FriXion pens in a small pencil case that I stick inside my bag as well (I use them to take notes at school as well, but that's a whole different story!). You can find the FriXion® pens in the pen/office supply section at Walmart or purchase on their website here! 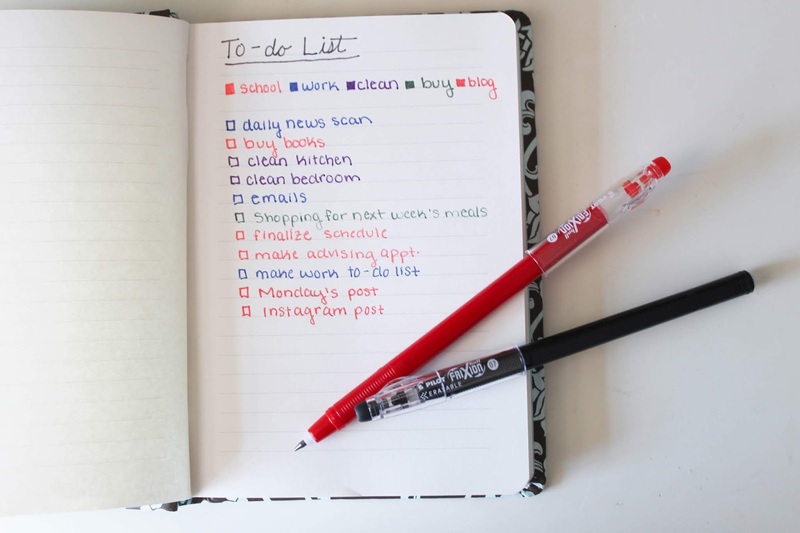 Do you make a to-do list everyday? What's your favorite way? !